SPRO Little John MD 50 Crankbait - Chartreuse Black Back. Longer, downward angled bill allows it to dive quicly to 7-9ft. 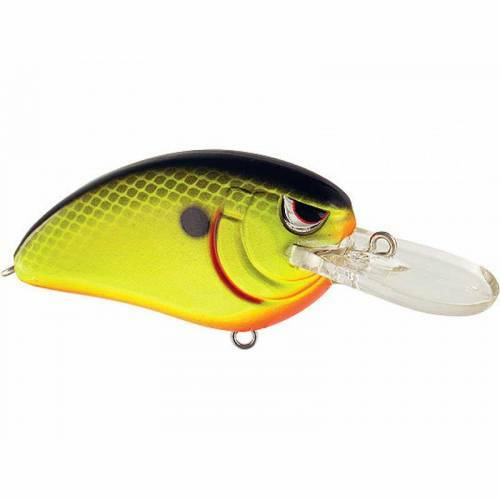 Tungsten weight transfer provides excellent casting and helps the lure swim true through open water without rolling over or tracking to the side. 2.10" length. 1/2oz weight. Assorted colors available.